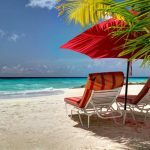 While the French have St Barthelemy, the British have Barbados, which is the perfect embodiment of understated British elegance combined with the relaxed vibe of the West Indies. 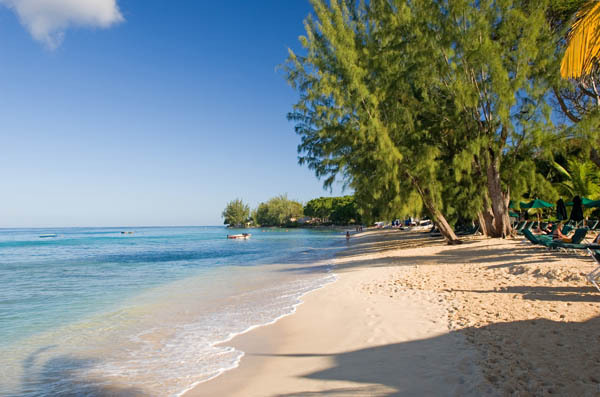 Barbados has a distinctly European feel marked by posh enclaves of aristocracy and Old Money families that coexist with long time Barbadian residents which gives the island a sense of community without pretension. 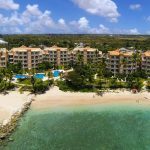 From the sandy white beaches fronting luxurious boutique hotels to the upscale gastronomic restaurants dotted throughout the island, this slice of paradise caters to the upscale traveler who has a sense of adventure. 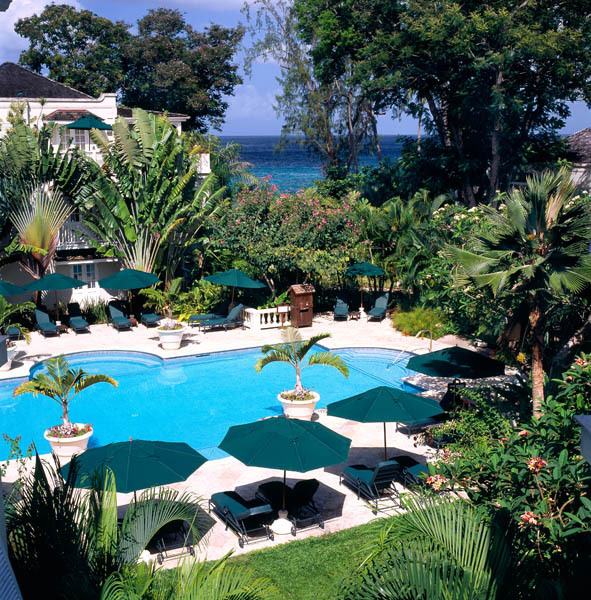 Perhaps the most famous resort on the island is the formal Sandy Lane, known for their distinguished clientele and world renowned golf courses which has played host to plenty of moguls, A list celebrities, royalty, and one percenters seeking privacy and seclusion. 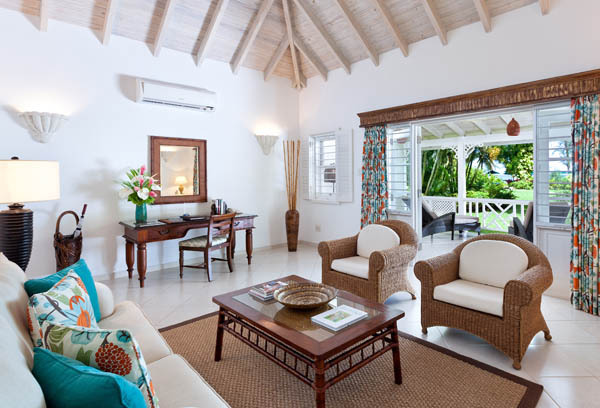 For those looking to bask in relaxed luxury, The Coral Reef Club is the perfect getaway. 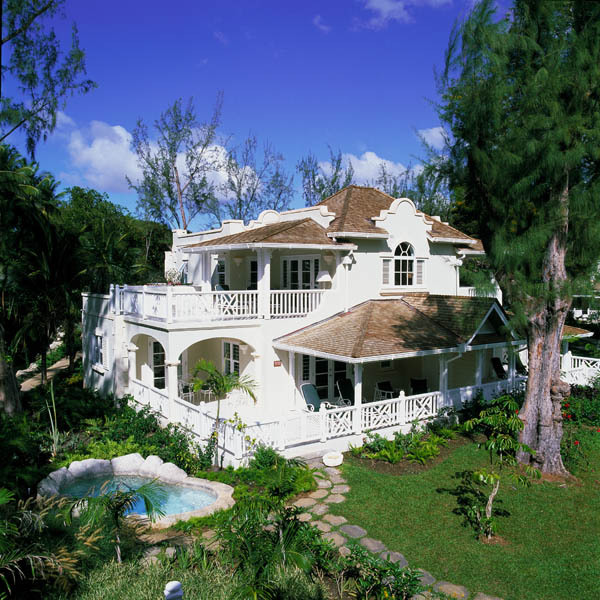 Set in the prestigious Saint James Parish on 12 acres of prime beachfront land, the Coral Reef Club reflects an understated beachy elegance inspired by European aristocracy and the West Indies. Instead of numbers each room is named after a different Caribbean flower, and the best rooms are the Luxury Plantation Suites located on the second floor with private plunge pools and spacious covered verandas overlooking the ocean and tropical landscape. The rooms are designed with every comfort in mind with spacious living rooms as well as four poster beds, dressing areas, and generously sized marble bathrooms with separate Jacuzzis and showers. Take the time to explore the lush landscaped grounds where you can take refuge under the leafy canopy of palm trees or take a dip in two mosaic tiled pools on site. Additionally a range of complementary non motorized water sports are available beachside. Indulge in scrumptious Barbadian cuisine at their alfresco restaurant overlooking the ocean that serves a classic dishes infused with exotic Caribbean spices that encompass a range of fresh seafood and local specialties found on the island. For dinner enjoy a romantic beachside dinner lit by tiki lights overlooking the ocean with live entertainment. 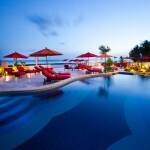 By day, the hottest scene in Barbados is the Cliff Beach House that feels like Nikki Beach in St Tropez. The casual sister to the formal and adjacent Cliff Restaurant, this breezy multi level cliffside restaurant offers dramatic views over the sparkling aquamarine ocean. It’s easy to spend the afternoon here indulging in their delicious contemporary French inspired cuisine paired with bottles of French rose and refreshing cocktails amidst a dazzling backdrop set to the music of world class DJs and a scintillating afternoon swimwear fashion show. If you happen to be here on a Sunday around sunset, locals and tourists alike all end up a Mullins Beach Bar. This casual beachside shack has become a Barbadian institution, fueled by rum punches and a live rock band. For elegant dining with a magical backdrop, visit the seafood centric Tides Restaurant located on the water’s edge on the West coast of Barbados. 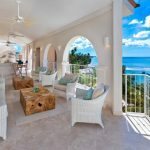 One of the most romantic candlelit dining spots on the island, this was once a classic seaside Barbadian home built after World War 2 with coral stone and mahogany. 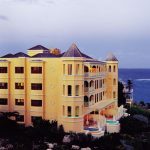 From polo to cricket matches, concerts and theatre, there are always plenty of cultural activities going on in the island as Barbados is not just a vacation spot but a year round destination populated by many full time residents. One of the best ways to explore the treasures beholden to this magical place is by sea. Take the Jammin’ Catamaran cruise for a fun day in the sun and snorkel in the warm aquamarine waters with exotic tropical fish and sea turtles. 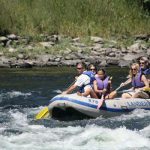 The half day tour leaves in the morning with 3 snorkel stops as well as a casual buffet lunch and open bar. The DJ gets the party started and after many drinks later the scene heats up with lively dancing on the catamaran as it returns to shore. One of the hidden treasures on the island is the lush and fragrant Hunte’s Garden located in the center of Barbados’ jungle in a sink hole gully that evokes a Alice in Wonderland flair with classical music playing in the foreground. Feel like one with nature as you meander through secret pathways dotted with native flora and fauna and take the time to reflect on your beautiful surroundings on one of the antique wrought iron benches scattered throughout the garden. To learn more about the history of the island and its origins in rum making visit the 350 year old St. Nicholas Abbey and rum distillery, that is still in operation. 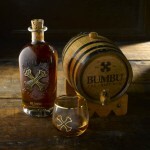 Sample some of the island’s finest rum along the tour which explains the history of the space through preserved ledgers from the slave trade which serve as a reminder of the past as well as the evolution of Barbados into what it is today. The most luxurious and comfortable way to get to Barbados from New York City is via JetBlue’s premium Mint experience. The five hour journey will literally fly by as you lie in your flat bed seat that can extend up to 80.” Indulge in three seasonal tapas style plates from NYC’s trendy Saxon + Parole, and enjoy a wide choice of free entertainment from your 15” screen. The 22” wide seats are configured in rows of two and four with 4 seats offering a private suite configuration at no additional cost. This is the ultimate way to travel to a luxurious getaway.